Learn useful travel English phrases through a story! David Wang is from Shanghai. He is twenty. He is a university student. He studies English at university. It is August. David is travelling to the UK. He wants to visit many places and he wants to use English in the UK. He also wants to make many new friends. He is very excited. It is his first time to leave China and go to another country. 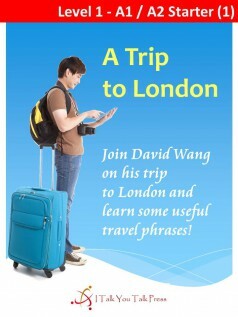 Join David on his trip to the UK and learn some useful travel phrases!